Small black and white photograph taken of a group on a hillside in Te Uku. 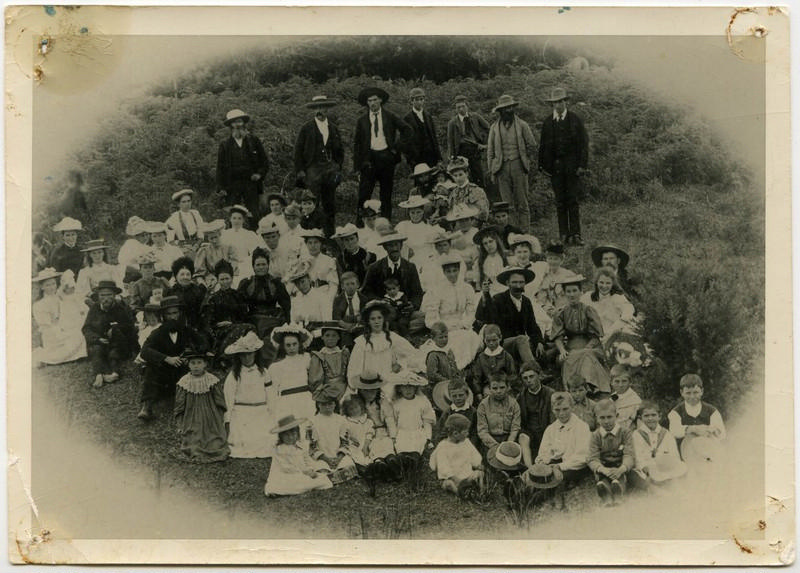 Note with photograph says 'School picnic at Te Uku' - possibly the Sunday School group as they are dressed in their finest outfits. Te Uku Postmaster and minor celebrity Ernest Moon can be seen to the far left.